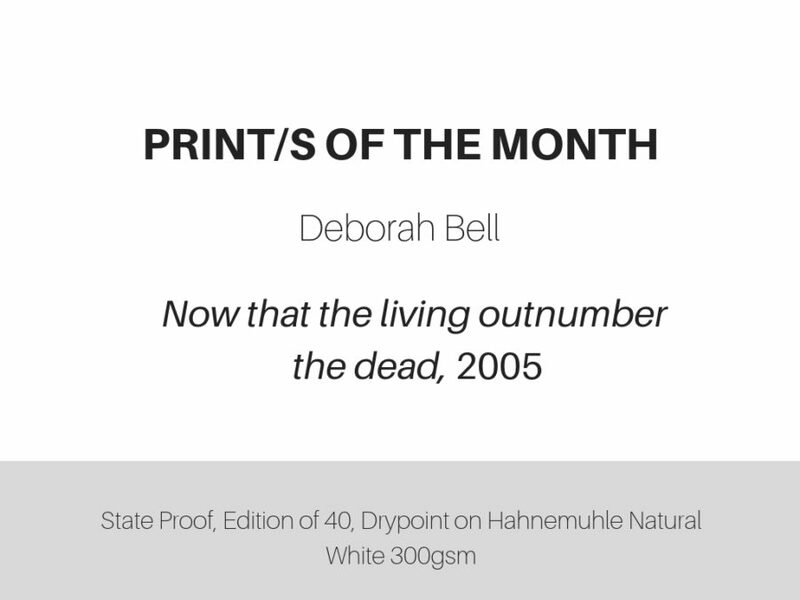 Print/s of the Month | April 2019 | Deborah Bell | “Now that the living outnumber the Dead”, 2005. State Proof. Now that the Living Outnumber the Dead was made in 2005 and is part of Deborah Bell’s on going collaboration with the David Krut Workshop. 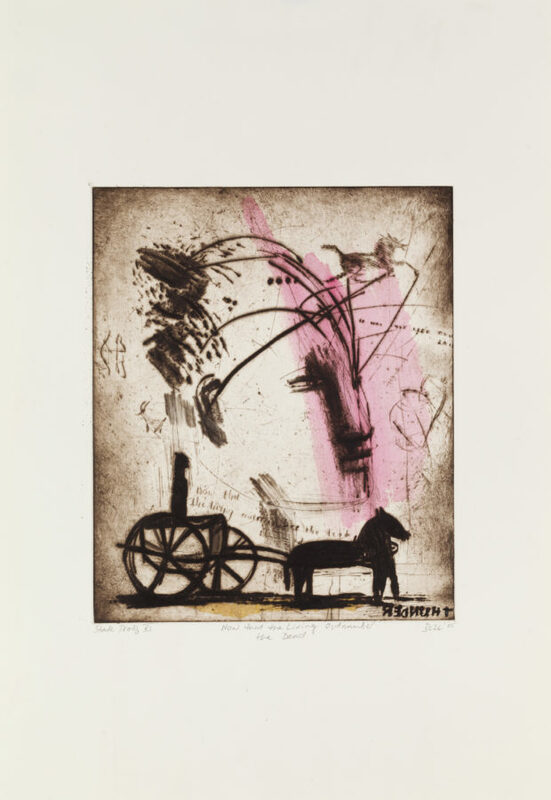 The work falls into a continuing series that are based on sketches from her notebooks. The sketches are created on her numerous visits to museums both local and abroad. 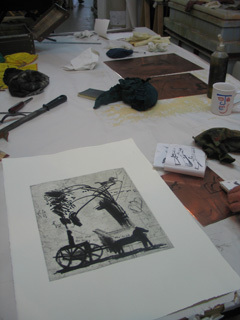 The matrix in this edition, created using drypoint on a copper plate, was re-enforced by the artist several times during printing to complete the full edition of 40 prints. The title of this image is based on a song sung by Lori Anderson. 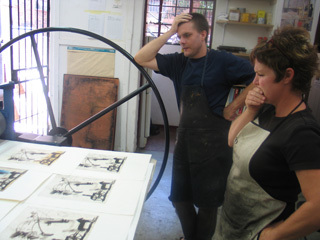 The collaborators were printers Tim Foulds and Jillian Ross.